Pontypridd Youth finished their campaign on a real high by being crowned as WRU National Champions. The ultimate success came with a 29pts to 12 victory over Bridgend Athletic at Rodney Parade on Saturday evening 19th May. Although finishing second to Rumney Youth in the Blues A League, with the final positions calculated on the number of wins per number of games played as so many fixtures had not been fulfilled, Ponty progressed to the regional play-offs as the Cardiff side could not commit to the additional fixtures. Victories over Newbridge and Nant Conwy in the qualifying rounds ensued, paving the way for Pontypridd to contest the national final against Bridgend Athletic. Ponty finished off their season in style, tries by man of the match Carl Blacker and Ioan Evans, with five penalties and two conversions added by captain Rhodri Smith, sealing the 29pts to 12 victory. 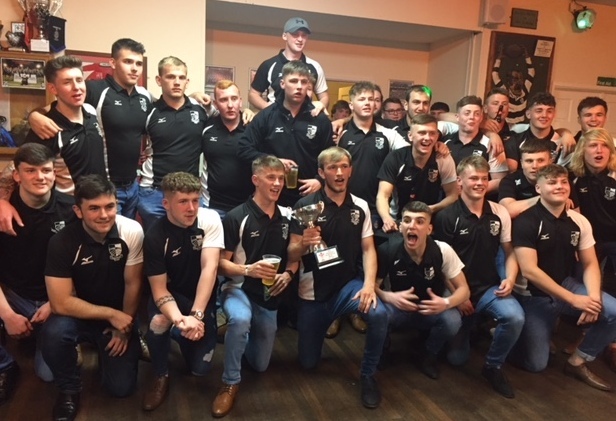 Pontypridd were duly crowned as National Youth Champions, and returned to receive a rapturous late night welcome at Sardis Road. The final victory was captain Rhodri Smith’s farewell appearance for Pontypridd Youth, to which he reacted: “The boys put in a huge shift to get the result with so much pressure in a must win game.